AS HE PREPARES to move out of the White House, Barack Obama is understandably focused on his legacy and reputation. The president will deliver a farewell address in Chicago on Tuesday; he told his supporters in an e-mail that the speech would “celebrate the ways you’ve changed this country for the better these past eight years,” and previewed his closing argument in a series of tweets hailing “the remarkable progress” for which he hopes to be remembered. Certainly Obama has his admirers. For years he has enjoyed doting coverage in the mainstream media. Those press ovations will continue, if a spate of new or forthcoming books by journalists is any indication. Moreover, Obama is going out with better-than-average approval ratings for a departing president. So his push to depict his presidency as years of “remarkable progress” is likely to resonate with his true believers. But there are considerably fewer of those true believers than there used to be. Most Americans long ago got over their crush on Obama, as they repeatedly demonstrated at the polls. In 2010, two years after electing him president, voters trounced Obama’s party, handing Democrats the biggest midterm losses in 72 years. Obama was reelected in 2012, but by nearly 4 million fewer votes than in his first election, making him the only president ever to win a second term with shrunken margins in both the popular and electoral vote. Two years later, with Obama imploring voters, “[My] policies are on the ballot — every single one of them,” Democrats were clobbered again. And in 2016, as he campaigned hard for Hillary Clinton, Obama was increasingly adamant that his legacy was at stake. “I’m not on this ballot,” he told campaign rallies in a frequent refrain, “but everything we’ve done these last eight years is on the ballot.” The voters heard him out, and once more turned him down. As a political leader, Obama has been a disaster for his party. Since his inauguration in 2009, roughly 1,100 elected Democrats nationwide have been ousted by Republicans. Democrats lost their majorities in the US House and Senate. They now hold just 18 of the 50 governorships, and only 31 of the nation’s 99 state legislative chambers. After eight years under Obama, the GOP is stronger than at any time since the 1920s, and the outgoing president’s party is in tatters. The challenges Barack Obama confronted during his eight years as president remain under-appreciated, as do the successes he achieved. 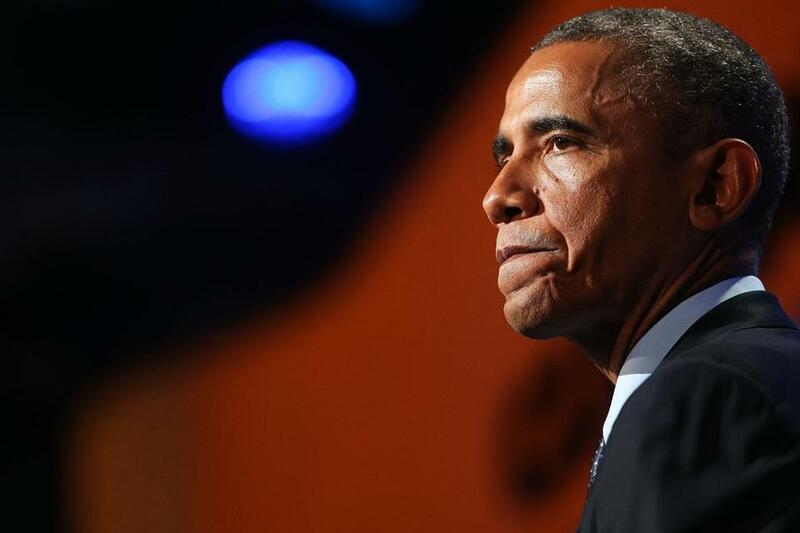 Obama urged Americans to cast their votes as a thumbs-up or thumbs-down on his legacy. That’s what they did. The economy. Obama took office during a painful recession and (with Congress’s help) made it even worse. Historically, the deeper a recession, the more robust the recovery that follows, but the economy’s rebound under Obama was the worst in seven decades. Annual GDP growth since the recession ended has averaged a feeble 2.1 percent, by far the puniest economic performance of any president since World War II. Obama spent more public funds on “stimulus” than all previous stimulus programs combined, with wretched, counterproductive results. On his watch, millions of additional Americans fell below the poverty line. The number of food stamp recipients soared. The national debt doubled to an incredible $20 trillion. According to the Pew Research Center, the share of young adults (18- to 34-year-olds) living in their parents’ homes is the highest it has been since the Great Depression. Health care. The Affordable Care Act should never have been enacted. Survey after survey confirmed that it lacked majority support, and only through hard-knuckled, party-line maneuvering was the wrenching health-care overhaul rammed through Congress. But Obama was certain the measure would win public support, because of three promises he made over and over: that the law would extend health insurance to the 47 million uninsured, that it would significantly reduce health insurance costs, and that Americans who had health plans or doctors they liked could keep them. Foreign policy. 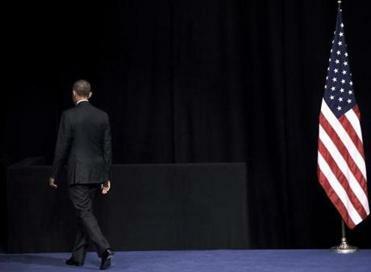 The 44th president came to office vowing not to repeat the foreign-policy mistakes of his predecessor. His own were exponentially worse. In his rush to pull US troops out of Iraq and Afghanistan, he created a power vacuum into which terror networks expanded and the Taliban revived. Islamic State’s jihadist savagery not only plunged a stabilized Iraq back into shuddering violence, but also inspired scores of lethal terrorist attacks in the West. For months, Obama and his lieutenants insisted that Syrian dictator Bashar Assad could be induced to “reform,” and pointedly refused to intervene as an uprising against him metastasized into genocidal slaughter. At last Obama vowed to take action if Assad crossed a “red line” by deploying chemical weapons — but when those weapons were used, Obama blinked. The death toll in Syria climbed into the hundreds of thousands, triggering a flood of refugees greater than any the world had seen since the 1940s. Determined to conciliate America’s adversaries, the president indulged dictatorial regimes in Iran, Russia, and Cuba. They in turn exploited his passivity with multiple treacheries — seizing Crimea and destroying Aleppo (Russia), abducting American hostages for ransom and illicitly testing long-range missiles (Iran), and cracking down mercilessly on democratic dissidents (Cuba). For eight years the nation has been led by a president intent on lowering America’s global profile, not projecting military power, and “leading from behind.” The consequences have been stark: a Middle East awash in blood and bombs, US troops re-embroiled in Iraq and Afghanistan, aggressive dictators ascendant, human rights and democracy in retreat, rivers of refugees destabilizing nations across three continents, the rise of neo-fascism in Europe, and the erosion of US credibility to its lowest level since the Carter years. National unity. As a candidate for president, Obama promised to soothe America’s bitter and divisive politics, and to replace red state/blue state animosity with cooperation and bipartisanship. But the healer-in-chief millions of Americans voted for never showed up. According to Gallup, Obama became the most polarizing president in modern history. Like all presidents, he faced partisan opposition, but Obama worsened things by regularly taking the low road and disparaging his critics’ motives. In his own words, his political strategy was one of ruthless escalation: “If they bring a knife to the fight, we bring a gun.” During his 2012 reelection campaign, Politico reported that “Obama and his top campaign aides have engaged far more frequently in character attacks and personal insults than the Romney campaign.” And when a Republican-led Congress wouldn’t enact legislation he sought, Obama turned to his “pen and phone” strategy of governing by diktat that polarized politics even more. Obama’s accession in 2008 as the nation’s first elected black president was an achievement that even Republicans and conservatives could cheer. It marked a moment of hope and transformation; it genuinely did change America for the better. It was also the high point of Obama’s presidency. What followed, alas, was eight long years of disenchantment and incompetence. Our world today is more dangerous, our country more divided, our national mood more toxic. In a few days, Donald Trump will become the 45th president of the United States. Behold the legacy of the 44th. Lakshmanan: What did Trump know about Russian hacking and when did he know it?